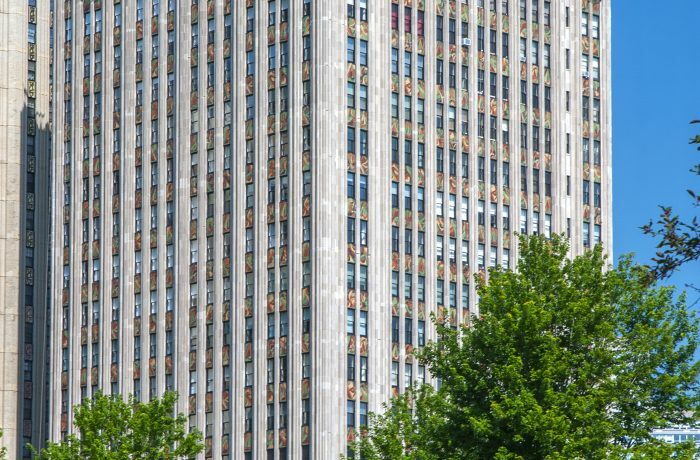 Designed by Architects, Charles Morgan and Robert De Golyer, The Powhatan is an explicit example of the Art Deco movement and marked the change to upscale apartment living in the late 1920s. The exterior is clad in Indiana limestone and terra cotta. Ornamental spandrels and wildlife motives portray a colorful relationship between the building and the lakefront parks it sits adjacent to. HPZS was retained to conduct an exterior assessment of the façade and restoration plan, and has continued to serve the project by staying on in the role of coordination of a repair plan pursuant to the assessment.